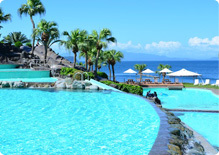 Jungle Pool is a resortlike atruction which is surrounded by subtropical plants and the ocean. 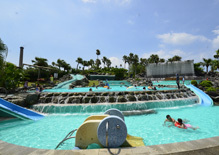 Its water slider was the one firstly introduced to Kyushu and it was built by utilizing the lay of the land. 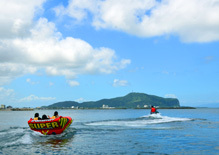 Our waterslider is a very full impact atraction and anyone from adults to a child can enjoy it. Also, have an open-air bath so guests can relax after having fun. ※Free for our hotel guests. 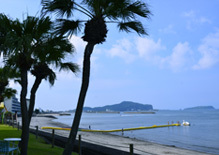 A swimming beach is only few steps from the hotel! 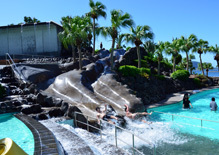 Also, the Jungle Pool and open-air bath locate just next to the beach. 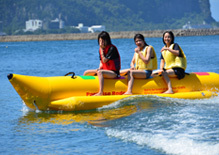 We, the southernmost ocean resort in Kyushu, supply a variety of marine activities such as banana boat, sea kayak and body-board. France National Football Team, Japan National football team and some football teams from J-League come to do training camp at our hotel. 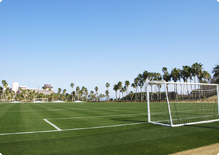 We have an auxiliary field which is the Japan Football Association standard. 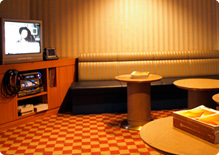 As it locates in the hotel facility, we can maintain privacy of the user. 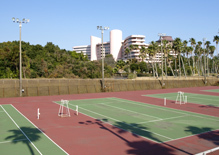 We have four orthodox tennis court which is surrounded by palm trees. 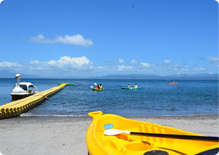 You can enjoy tropical atmosphere and sea breez on your face while you playing. ※For night use, additional ¥500 plus tax will be applied(close:22:00). 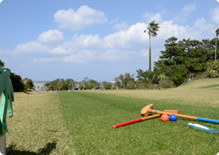 You can enjoy the outdoor ground golf where you can find the beautiful green( equal to a golf course!) in tropical atmosphere. 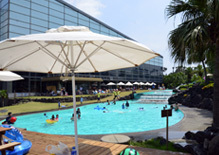 It is perfect recreation for enjoying with your family in a sunny day! 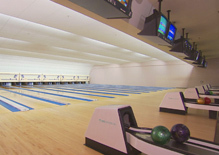 Our hotel's bowling alley locates within the hotel and it is perfect for enjoying with family members, friends and your colleagues! 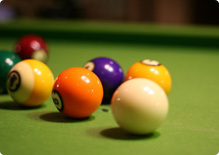 In our amusement area, we have four billiard tables. It's ganna be more fun to play in the spacious area! Speaking of hotsprings, it comes with table tennis! It is for sure games with your group member will be heated to a white heat! 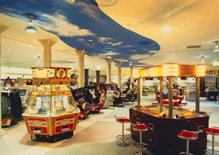 We await you with golden oldie game machines! 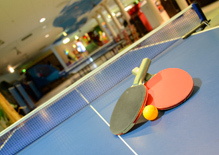 As they are located within our hotel, everyone can readily make use of it! We prepare 6 private karaoke box. 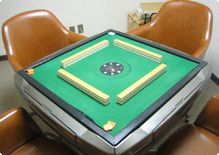 In the quiet environment, you can concentrate on playing games such as Go and Japanese chess and the environment enables you to play those games in earnest manner.